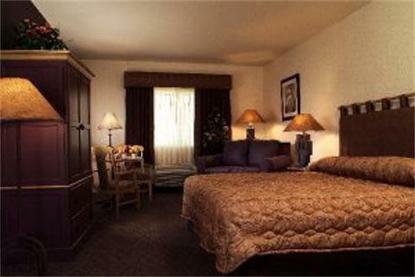 Conveniently located off I-15, three miles south of the Strip and just five minutes from McCarran Airport, Silverton Casio - Hotel - Lodge offers and all-inclusive gaming resort that combines an upscale casual atmosphere with unexpected value. Silverton offers 300 newly renovated rooms and suites featuring mini bars, safes, wireless internet access, a new state-of-the-art fitness center and much more. In addition, Silverton has added many new amenities to the property, including a terrific 24-hour restaurant/grill, a delicious steakhouse and an exciting lounge. Silverton is home to Bass Pro Shops Outdoor World featuring 170,000 square feet of outdoor shopping. The 100,000-gallon saltwater aquarium is where you can catch Azure, the underwater fantasy along with over 4,0000 species of fish. Additional Information: Rollaway charge $15.00USD per night $3.95 Hotel Amenity Fee per night charged at check in.